The 2018-19 NFL season is officially underway, so let’s take a minute to reflect on the offseason action that may, or may not, impact some fantasy teams in the coming months. This offseason, fans have witnessed trades, free agency signings, the NFL Draft, and much more. Notable players that are returning from injuries are Aaron Rodgers, David Johnson, Deshaun Watson, and Odell Beckham Jr. What do all of these players have in common? They are all possibly Fantasy Football stars this upcoming season. Fantasy Football is a game where a group of people form a league and draft NFL players to put on their team. The players play their individual games and they receive points based on how they perform each play. These points add up against your opponent’s team and whoever has more points by the end of Monday Night Football wins that week. The more you win, the more likely it is that you win the championship. Usually, the winner of the championship would receive some sort of prize (money, trophy, etc). That’s for you and your league members to decide. 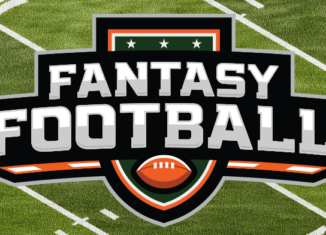 The fantasy draft is arguably the most important event of the season. Most leagues have a snake draft. Let’s say there are 10 teams in a league. The order is usually randomized, and each member gets one pick per round. The order of the first round is reversed in the second round. Each round will switch back and forth. Now, let’s talk about who you should draft. In the first and second rounds, you should draft a running back or wide receiver. The reason why is because these two positions will most likely get your team the most points each week. The only exception, if you don’t draft either of these positions in the second round, would be New England Patriots tight end Rob Gronkowski. Below are my top five rankings at each position. 1 Aaron Rodgers: Returning from a season-ending injury, Rodgers should perform as well as he has in the past. He lost his number one receiver in Jordy Nelson, and the Packers acquired the outstanding tight end Jimmy Graham from the Seattle Seahawks. 2 Deshaun Watson: Also returning from a season-ending injury, Watson looks to pick up where he left off as an outstanding rookie quarterback. When Deshaun Watson led Clemson on the game-winning drive against Alabama in the National Championship, I knew that he would be something special in the NFL. With Pro Bowl receiver DeAndre Hopkins and rising star Will Fuller, Deshaun Watson will earn a ton of fantasy points. 3 Tom Brady: The GOAT is entering week 1 without his three best receivers from last season (Brandin Cooks and Danny Amendola were traded, and Julian Edelman is suspended). However, the 41-year-old and reigning MVP still has some juice left as he will most likely lead the Patriots to another division title and possibly a deep playoff run. Brady will have a great season if tight end Rob Gronkowski is able to stay healthy. 4 Cam Newton: Cam looks to use his 3-time Pro Bowl tight end Greg Olsen, after Olsen was injured most of last season. The former College Football National Champion, with Auburn, looks to make a run at another MVP season. I believe it is unlikely; however, I believe Cam will use his running ability to get the 4th most fantasy points out of all QB’s. 5 Russell Wilson: Last year’s Fantasy Football number 1 QB has been downgraded to number 5 this season. The reason why: Jimmy Graham was traded. However, Wilson still has his number 1 receiver, 2-time Pro Bowler Doug Baldwin to throw to. The former Super Bowl winning QB looks to get it done this year as in the offseason the Seahawks defense lost 3 of its best defenders (Richard Sherman, Kam Chancellor, and Michael Bennett). 1 Le’Veon Bell: Consistent, patient, fast. These three words describe Bell every single season that he has played. Bell is supposed to go number one overall in drafts. With an outstanding offensive line, I expect him to do even better than he did last season. 2 Todd Gurley: The MVP candidate last year looks to become one once again. With a completely rebuilt team on offense and defense, Gurley should go 2nd overall in drafts. The way he runs through defenders will get him the Fantasy points that your team needs. 3 Ezekiel Elliott: Zeke only played about half of the season last year due to a suspension, and he played amazing for those games. Now that he is likely to play all 16 games, he should have a great season as he has one of best offensive lines in the NFL. 4 Alvin Kamara: The reigning Offensive Rookie of the Year will probably do what he did last season: run and catch several touchdowns. Kamara broke many records with his co-running back, Mark Ingram. As Mark Ingram is suspended for the first few weeks, Kamara will show the world how he performs as the lone back on the Saints. I expect him to perform even better than he did last season. 5 David Johnson: DJ is coming back from a season-ending injury. The year before, DJ was one of the best running backs in the NFL. Now that he is healthy, he hopes to regain his rank among running backs in the NFL. However, from this injury, DJ is now a risk because people now know that he can be out for another season if he gets hurt again. That is why I didn’t rank him in the top 3. 1 Antonio Brown: AB has been the best receiver in the NFL for the last few years. I see him doing the same as he is only getting better each year. With QB Ben Roethlisberger healthy, AB should still be the best receiver in the league. 2 DeAndre Hopkins: With Deshaun Watson, Hopkins should do what he does best: score touchdowns. Hopkins is a mismatch for most cornerbacks as he catches most everything that comes his way. 3 Odell Beckham Jr.: The world-famous athlete who is returning from a season-ending injury should go back to his old self and make catches that we have never seen before. With rookie running back Saquon Barkley on the Giants, the two should make an incredible duo. 4 Michael Thomas: Ever since he entered the league a few years ago, Michael Thomas has been one of the most consistent players at his position in the NFL. As the number one receiver on his team, and with the future Hall of Fame QB Drew Brees throwing to him, Michael should score the 4th most Fantasy points among wide receivers. 5 Julio Jones: The Atlanta Falcons drafted wide receiver Calvin Ridley during this year’s draft. The good part about this is that Julio may not be double covered anymore because there is another talented receiver (Ridley) now on his team. The bad part about this is that Julio may get less targets from QB Matt Ryan because he will be throwing more to Ridley. 1 Rob Gronkowski: With a lack of receivers, Gronk is the primary target for receptions. As one of the greatest players at his position in NFL history, Gronk should overpower defenders and continue to spike the ball in the end zone. Gronk is an injury risk, however, I believe the risk of drafting him is worth it. 2 Travis Kelce: Coming off a season where he was the number one fantasy tight end, Kelce looks to perform just as well with a new QB named Patrick Mahomes throwing to him. Mahomes is a deep passer, so he won’t be throwing as much to Kelce, but when he throws to Kelce, I’m sure he will make an impact. 3 Zach Ertz: The reigning Super Bowl champion will join Gronk and Kelce in the top 3. Zach Ertz is an excellent option to throw to even if his starting QB is hurt. Ertz is able to adapt to changes in routes and is able to make big plays, including a touchdown in last year’s thrilling Super Bowl. 4 Jimmy Graham: The big tight end will be catching touchdowns from a different QB this year. He will be catching from Aaron Rodgers of the Green Bay Packers. Aaron Rodgers is one of the most accurate passers of this generation of QBs. Jimmy is a mismatch from most defenders. I believe he’ll have one of the best seasons of his outstanding career. 5 Kyle Rudolph: One of the favorite targets to throw to on one the most talented offenses in the NFL. The Minnesota Vikings tight end is a red zone target, which is extremely valuable for Fantasy Football. With so much talent on his team, he won’t be double covered when attempting to make receptions. 1 Jacksonville Jaguars: A team that used to be a joke before last season is now considered the best defense in the NFL. With a great defensive line led by Calais Campbell, a great middle section with linebacker Telvin Smith, and arguably the best secondary in the NFL led by cornerback Jalen Ramsey, this defense is unstoppable. 2 Minnesota Vikings: As a defense that has been great for the last few years, they look to accomplish more and reach the Super Bowl. The defensive line is covered by Everson Griffen, and the secondary is covered by trash talking Xavier Rhodes and hard-hitting Harrison Smith. This is one of the best all-around teams in the NFL. 3 Los Angeles Rams: Perhaps the best all-around team in the NFL, the Rams completely rebuilt their defense this offseason. Before last season, the Rams had the lowest scoring offense in the NFL. Last season they had the highest scoring offense. So, they decided to make their defense just as good as their offense this offseason. The Rams acquired Ndamukong Suh, who will be joining reigning defensive player of the year Aaron Donald on the defensive line. Marcus Peters and Aqib Talib will be joining Lamarcus Joyner in the secondary. This team is my pick to be the best team in the NFL by the end of the regular season. 4 Philadelphia Eagles: The reigning Super Bowl champions didn’t show any defense in the Super Bowl until when Brandon Graham forced the fumble on Tom Brady to win the game. Throughout last season, even without Carson Wentz, this defense rose to the occasion. With the addition of Michael Bennett, the D-line is stronger as he will play alongside Fletcher Cox. With an amazing secondary led by green-haired Cornerback Jalen Mills and Safety Malcolm Jenkins, it will be hard to get the ball past them. 5 Houston Texans: With the return of future Hall of Famer, defensive end JJ Watt, this defense is back where it used to be: one of the best in the NFL. While injured, Defensive End Jadeveon Clowney became an outstanding defender. With the two of them, they make a fantastic duo. With the addition of safety Tyrann Mathieu, the secondary has become more of a threat as he joins veteran Jonathan Joseph. 1 Stephen Gostkowski: With the best QB of all time, this kicker is easily able to kick field goals and extra points through the uprights. Gostkowski’s accuracy will help him be the number one kicker in Fantasy Football. 2 Greg Zuerlein: After an impressive season by Zuerlein, with an even more improved offense of the Los Angeles Rams, he should have an even better season. 3 Chris Boswell: With the best running back and wide receiver in the NFL, it’s easy for Chris Boswell to make field goals to create fantasy points. 4 Justin Tucker: A player who doesn’t have a good offense, Tucker’s power, and accuracy will help earn more fantasy points as he is able to put in very long field goals. 5 Wil Lutz: With an all-around great offense of the New Orleans Saints, Lutz can score easily and often as the Saints are able to get their offense on the field due to their amazing defense.